His real name is Lester, but everyone calls him Soda Pop Head. Most of the time he is pretty happy, but when things seem to be unfair his ears gets hot, his face turns red and he blows his top! Lesters dad comes to his rescue by teaching him a few techniques to loosen the top and cool down before his fizz takes control. 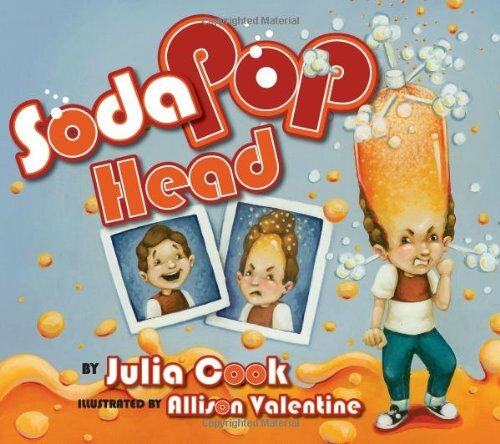 Soda Pop Head will help your child control his/her anger while helping them manage stress. It s a must for the home or classroom. Paperback, 32 pages. Book Excerpt: There goes Lester. Watch him fester. His ears start to fizz. He gets mad as a griz. His face turns red. Hes a Soda Pop Head. You just never know when Lester will blow. His cap will go flying. If it hits you, youll be crying, so you’d better stay away from Lester today! Interesting. I might have to get this book for my 4 year old who has a short fuse and a fast temper. It’s a great way to start the conversation. I would definitely recommend it.